Rather than deferring to others, we’ll seek to decide for ourselves whether Peterson effectively makes his case — and we’ll seek to decide for ourselves the extent to which he is to be feared. 1. 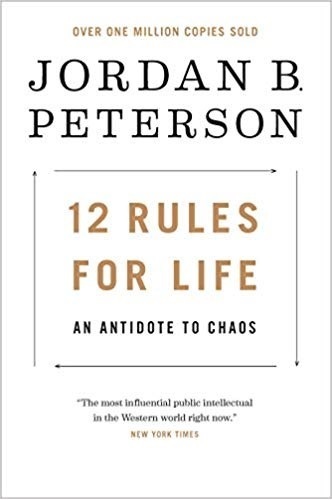 Which of Peterson’s twelve rules do you find most familiar? Which of them do your find more challenging? 2. How does this book align with your understanding of Christian discipleship? Are Peterson’s 12 Rules for Life in keeping with the ways Jesus calls us to live in ‘The Sermon on the Mount’? 3. In what ways might Peterson’s perspective speak more to life as experienced by men that to women? 4. Have you heard the author’s name being referenced in the news — be it positively or negatively? Make note if you do! About the Author: Jordan Peterson is a Canadian clinical psychologist, cultural critic, and professor of psychology at the University of Toronto. His main areas of study are the psychology of religious and ideological belief, and the assessment and improvement of personality and performance.